Each year, about 10 million travellers trust ‘holiday specialist’ SunExpress as their carrier of choice. Founded in 1989 as a joint venture between industry leaders Turkish Airlines and Lufthansa German Airlines, the medium-sized airline has a longstanding commitment to its home markets. Together, its 83-strong fleet serves more than 90 cities in 30 countries with at least 1,800 weekly flights to Europe, Asia and North Africa. This year, celebrating the 30th anniversary of its Turkish base, SunExpress achieved record performances in 2017 and 2018, setting the company up for a strong year ahead. According to CEO Jens Bischof, the carrier’s dual heritage continues to play a fundamental role in its international success. 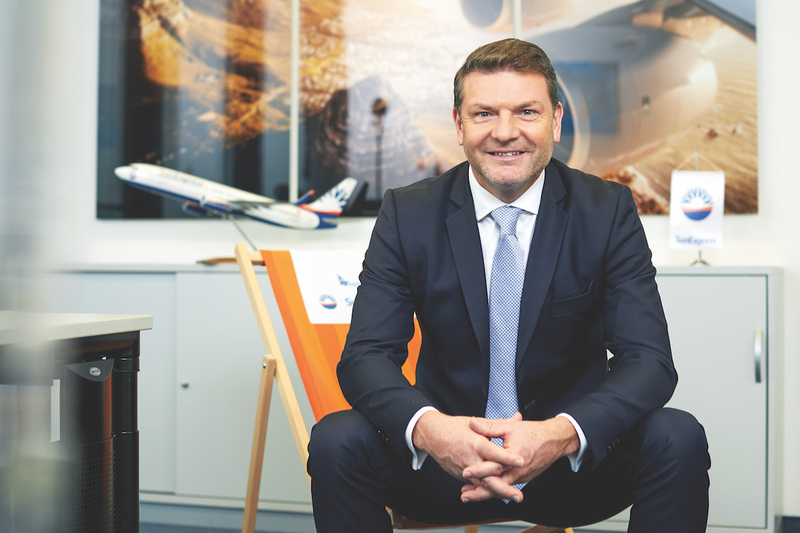 Before joining SunExpress in early 2017, Jens served as CCO of its stakeholder, Lufthansa German Airlines. There, he worked in both Germany and the US in departments ranging from cargo and procurement to sales, revenue management, ground operations and marketing. “I enjoyed my Western exposure, but I’ve always held ties to the East,” says Jens. Coming off the back of poor financial performance in 2016, SunExpress found a bold new leader in Jens. “Due to political tension in Turkey, the number of arriving international tourists and the value of the Turkish lira were plummeting. in the company to boost our revenue while increasing our attractiveness to the customer,” Jens recalls. Jens took this challenge as an opportunity to increase the carrier’s footprint across Europe, particularly in its strongholds in Izmir, on the Aegean coast, and Antalya on the Turkish Riviera. “We achieved a strong market share in our Germany-to-Turkey routes, with our most popular destinations being Antalya and Izmir. And on the German side of the business, we continue to fly to exciting destinations such as the Bulgaria, Morocco, Greece and Egypt,” he explains. “We also looked to strengthen our ‘VFR’, or Visit Friends and Relatives business. This segment was more resistant than our tourist business because we knew that families and friends would continue to visit each other despite any crisis. 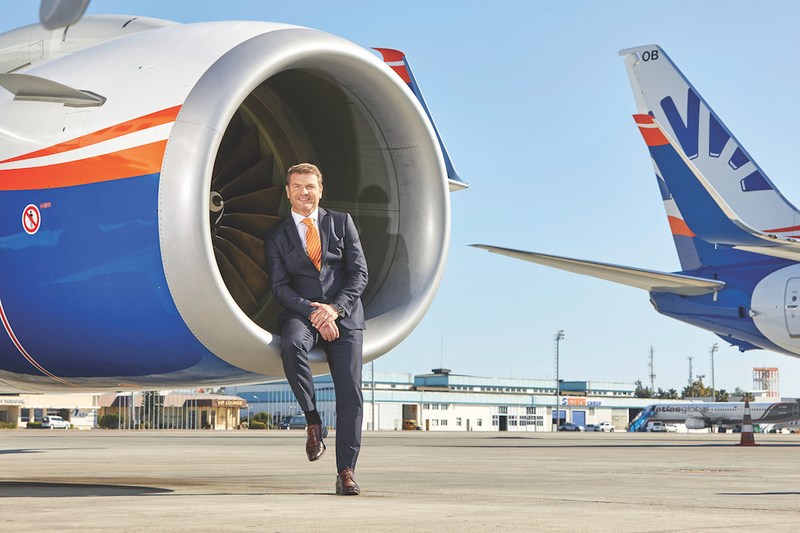 Building on this growth, Jens expects the SunExpress fleet to reach 83 aircraft this year. “Over the next five years, we’ll add 32 additional Boeing 737 MAX 8 aircraft to our fleet,” says Jens. “By utilising new technologies and combining our Turkish and German cultural values and competencies, we want to become one of the largest and most innovative leisure value carriers in the Western hemisphere. “Our 4,500 SunExpress team members, be they on board or on the ground, are our greatest strength. With the two cultures we combine great hospitality and excellent customer service as well as punctuality, reliability, safety and cleanliness. a value concept but in terms of cost competitiveness, we’re up against carriers like EasyJet, so we take advantage of our cost position while delivering a superior product. Looking ahead, Jens says SunExpress’s ability to adapt and become a more digital and retail-oriented business is core to its success as a modern airline. “We have to turn the airline into a retailer – not by selling fancy things but by selling a value and by being where our customer is. 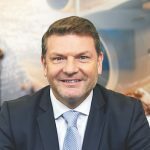 Whether they shop at home or at work, on a mobile app, on a desktop or even on social media, we have to engage and interact with our customers on their platform of choice,” Jens explains. To do so, Jens says SunExpress will change its approach to selling flights. “Whether we like it or not, we provide a commodity. If you look at the way airline tickets are sold online, you type in your destination and you see the departure time, the flight duration and the price – that’s all that really matters. We have next to no clue what we’re buying, even though we can spend a thousand dollars in a mouse click when we buy an airline ticket,” he exclaims. “If that was all the information you got when you went online to buy a camera, would you do it? I know I certainly wouldn’t. I would want to see photos, specifications and reviews before I made my purchase,” says Jens. “The same should go for flights: you should be able to see photos of the plane, the cabin interior and the seat you’re going to sit in for the next six hours.